Next, select the video file you want to make the MP3s from. For an example, I’ll be using Shinigami no Ballad. 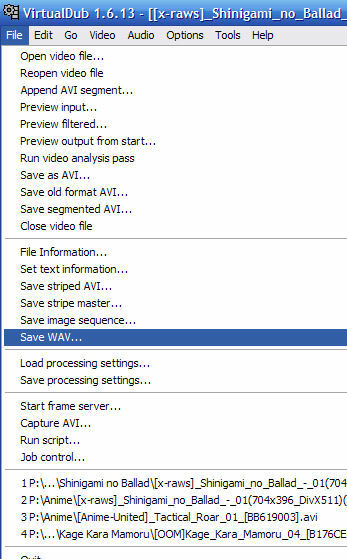 Finally, click on file->save WAV, and select a location and a name for the audio file. Now we have an audio file of the whole show. We’ll need to use Audacity to select the parts we want (in this case, the Opening and Ending song). 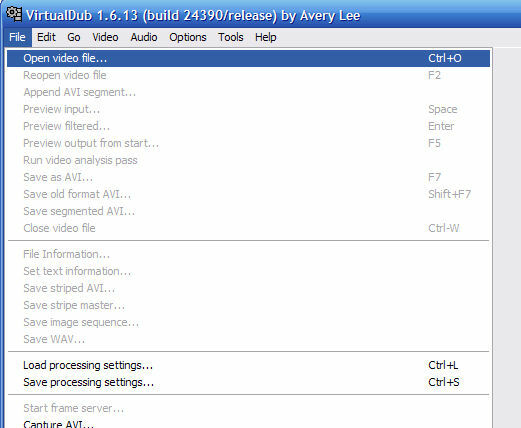 Go to Part 2: Using Audacity to encode the OP and ED. Spot on with this write-up, I actually suppose this web site needs far more consideration. I�ll most likely be once more to learn much more, thanks for that info. Can I just say what a aid to seek out somebody who really is aware of what theyre talking about on the internet. You positively know how one can bring a problem to light and make it important. More folks need to read this and perceive this aspect of the story. I cant believe youre not more in style because you definitely have the gift.